LSAT is a half-day test administered four times each year throughout the world. Its score is widely used and is an important part of the admission process to law schools in USA, Canada, Caribbean. 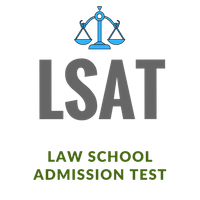 An applicant cannot take the LSAT more than three times within a two-year period (even if you cancel your score). LSAC administers the LSAT four times per year: June, September/October, December, and February. LSAT test consists of five 35-minute sections of multiple-choice questions. Four out of five sections contribute to your score. LSAT Test takers who create an account in lsac.org will receive scores via email in 3 weeks (or it will mail within four weeks of the test). You score for each correct answer. There is no penalty for the wrong answer. LSAT score range is 120-180.